The 1st of December and winter is approaching. 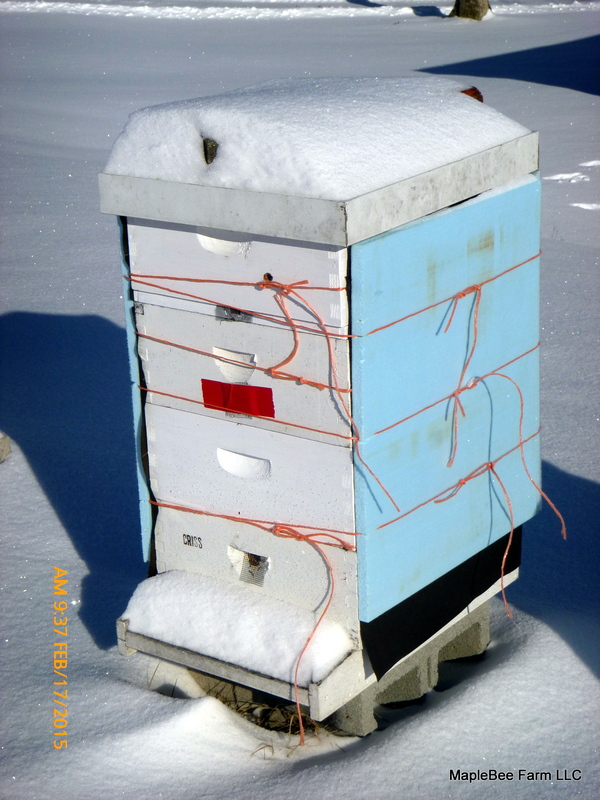 The beehives are wrapped in foam board on three sides to help keep the honeybees warm. Freezing temperatures won’t kill them if they have plenty of food to eat, but if they run out they’ll starve as there is no food outside of the hive they can get. The colder it gets the more they’ll eat as they convert calories into heat. The foam helps them to stay warm and therefore eat less. On top of each hive is a feeder box, and in it a plate of candied sugar. On warm days they’ll climb up into the feeder box and eat on the sugar. On a real warm day we might also add a feeder jar of sugar syrup, but the day will need to be warm as they won’t eat cold liquids. Some beekeepers will say, “they’re just insects and don’t feed them at all and if they survive then you have survivor bees and if they die then you had weak bees and good riddance.” In a way they do have a point and we do want survivor bees. But, they are not just insects, they are domesticated insects. Treat each hive like any domestic animal. Care for it, provide it with a clean dry home, and feed it in the winter. Previous PostHello world!Next PostBees returning with full pollen baskets.